Anne Connolly has worked in the neuromuscular field for twenty-six years at Washington University School of Medicine in Saint Louis. Her early research looked at mechanisms of disease progression in mouse models of Duchenne and Congenital muscular dystrophy. More recent work relates to developing skeletal, pulmonary and cardiac outcomes in infants, boys, and men with Duchenne Muscular Dystrophy (DMD). Over the last 10 years, she has been the site PI for multiple studies involving children with DMD, congenital muscular dystrophy, and spinal muscular atrophy. She is the lead PI for a MDA funded multicenter trial of infants and toddlers with DMD. Community work has included service to the local Muscular dystrophy association as Camp Doctor for more than two decades. She has also collaborated in developing standard of care guidelines for treatment of children with DMD, congenital muscular dystrophy, and spinal muscular atrophy. 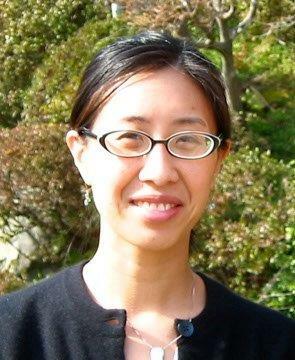 Michele Yang, MD is an Assistant Professor Pediatrics and Neurology at the University of Colorado Denver and Director of the Electromyography Laboratory at Children’s Hospital of Colorado. Dr. Yang’s clinical research focus has been on therapeutic treatments for neuromuscular disease. She is the site PI for studies involving children with Duchenne muscular dystrophy and congenital muscular dystrophy. Motor neurons are the cells in the spinal cord and brainstem that control voluntary muscle movement. When these cells are damaged, the muscles become weak and get small (atrophy). The muscles of the arms and legs are often involved, and even muscles of breathing and swallowing can be involved. Motor neuron diseases refers to disorders in which there is progressive weakness of muscles due to a problem with the motor neuron. The most common motor neuron disorder in children is spinal muscular atrophy (SMA). In adults, it is amyotrophic lateral sclerosis (ALS also known as Lou Gehrig’s disease). Spinal muscular atrophy will not be discussed here as it is reviewed in another section of this website. However, there are other types of motor neuron disease that happen because of miscoding of the genes or because of exposures that damage the motor neurons. it can result from an exposure to infections, toxins, or injury. when was the weakness first noted? what has the progression been? is there any family history of people with similar weakness? Testing may include an electrophysiologic tests called electromyography (EMG) and nerve conduction studies (NCS), which tests the function of the nerve and the muscles; magnetic resonance imaging (MRI); and blood tests for genetic causes. Weakness and loss of muscle bulk are the hallmarks of motor neuron disease. If the weakness has been long-standing and severe, then contractures of the joints can occur. In babies, if there are multiple contractures of the joints, the term arthrogryposis multiplex congenita is used to describe contractures that start from birth. In older children, the contractures may be more mild and present only in the heel cords. What other symptoms can occur with hereditary motor neuron disease? Weakness of the muscles of breathing and swallowing can also impact weight gain and growth. What causes motor neuron disease in children? Genetic: There are many known genetic causes of motor neuron disease, and many more genes being described every year. Acquired infectious: Polio was once one of the most common causes of acquired motor neuron disease. With the introduction of the poliovirus vaccine, polio as a cause of sudden onset weakness has been reduced, except in areas with low immunization rates. Other infections that can cause symptoms that look like polio include West Nile virus, HIV, HTLV-1, and enteroviruses D68 and 71. Acquired vascular: Strokes involving the blood vessels that supply the motor neuron cells in the spinal cord can cause sudden onset weakness. Acquired trauma: Sudden onset weakness can also happen with birth trauma, falls, motor vehicles accidents, blows to the spinal column, and, rarely cases after exposure to electrical injury or lightning, resulting in isolated injury of the motor neurons in the spinal cord. Unknown causes: Monomelic amyotrophy is a rare form of motor neuron disease where weakness occurs in a restricted number of muscles. Most cases are sporadic, though a familial form has been reported. The history and physical examination are crucial to determining what laboratory studies are needed to make a diagnosis. Brain and spine imaging can identify areas of stroke or injury, and identify brain malformations that can be seen with some forms of motor neuron disease. An electrophysiologic test is used to diagnose problems in the muscle and nerve. In the nerve conduction study portion of this test, electrodes are placed over the arms and legs, and a small electrical stimulus is sent down the nerves and recorded by the electrodes. The response recorded indicates the health of the nerves. In the electromyography portion of the test, a small microphone is placed in the muscle to record the electrical signals in the muscle. In people with motor neuron disease, this test will show abnormalities in the muscle because of damage to the motor neuron. It is important to note that the results of this test need to be interpreted in the context of the history and physical examination. Therefore, results should be interpreted by the neurologist before a diagnosis is made. Other testing can include blood tests to look at breakdown of muscle (creatine kinase) and to perform genetic testing for specific gene mutations. In general, there are no cures for motor neuron diseases. Treatment is focused on supportive care, to make sure that breathing is safe and nutrition is optimized. Quality of life has been shown to be improved with breathing and nutrition are optimized. This may require breathing support with a mask or through a tracheostomy, and may be only at night or require around the clock support. Nutritional support for these patients may require additional calories, but if the muscles of swallowing are too weak to allow people to chew or swallow, then feeding through a gastrostomy tube may be required. The prognosis for these patients is variable and depends on the underlying cause. In general, for those children with acquired motor neuron disorders, the weakness is maximal at the onset of the injury or exposure, with incomplete improvement in the weakness over time. In children with genetic causes of motor neuron disease, the weakness is progressive. If the symptoms present in infancy, then the course tends to be more severe and progressive. If they present in their teens, patients are more likely to continue to be able to walk and have normal lifespans. Motor Neuron-A nerve cell located in the spinal cord or brainstem which extends through the nerve to supply muscle. Detailed descriptions of specific disorders may be found on the Muscular Dystrophy Association website (MDA.org).